Apparently the name “Blue Mountains” comes from the reflection of eucalyptus trees in the sunlight. Whether or not I believe this myth is a different story. Nonetheless, the area is magnificently beautiful. (Doesn’t it look more like a canyon than a mountain range?) 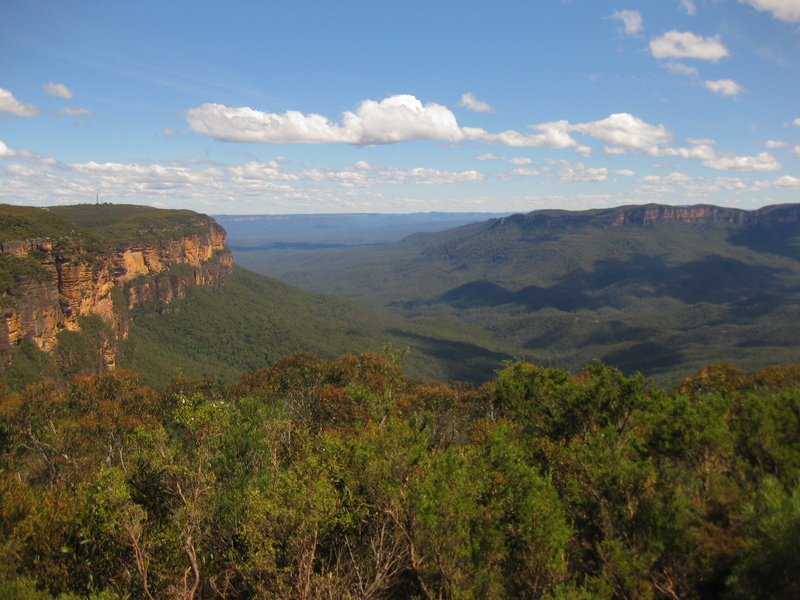 An exciting hike was followed by lunch at The Conservation Hut near Wentworth Falls. 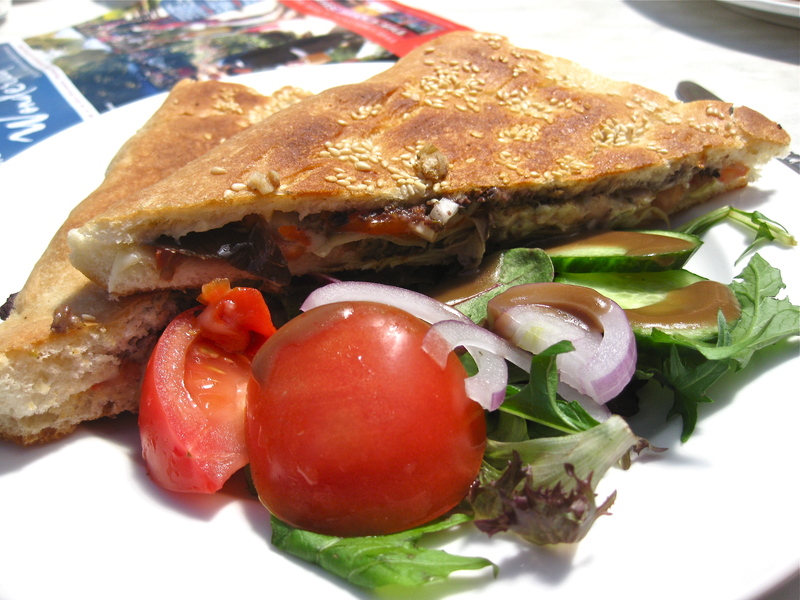 I had a pressed vegetable focaccia sandwich with a tapenade spread. While the service was sub-par and not particularly friendly, the food was delicious and satisfied my hungry body after our hike. We ordered a serving of chips to go along with our meals. I’m not a huge fan of ketchup, which in Australia is called tomato sauce. “Pasta sauce” means “tomato sauce for pasta.” These fries didn’t come with tomato sauce, but instead with what seems to be the Australian substitution for ketchup: aioli. Garlicky, creamy, goodness. 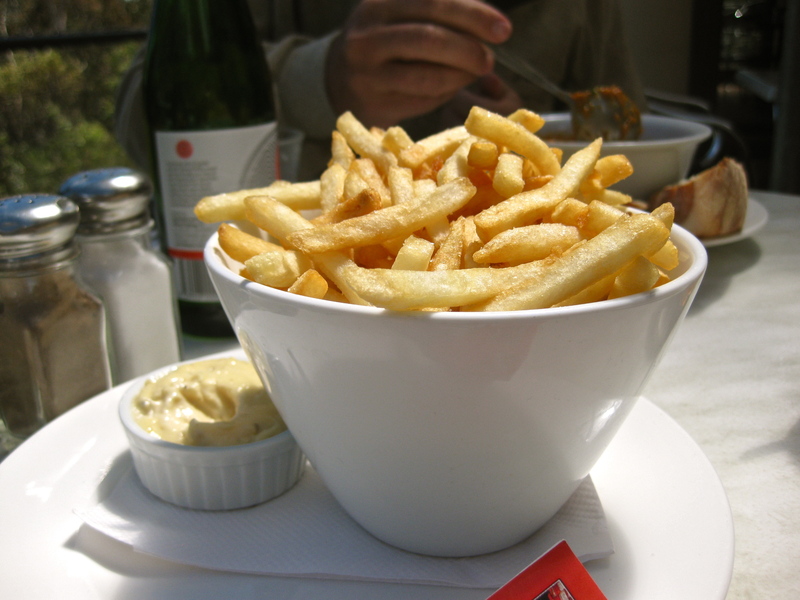 I’d take aioli any day over ketchup, though it would likely give me a heart attack if I continually ate fries and aioli. Good food and the wonders of the outdoors…..nothing beats it! 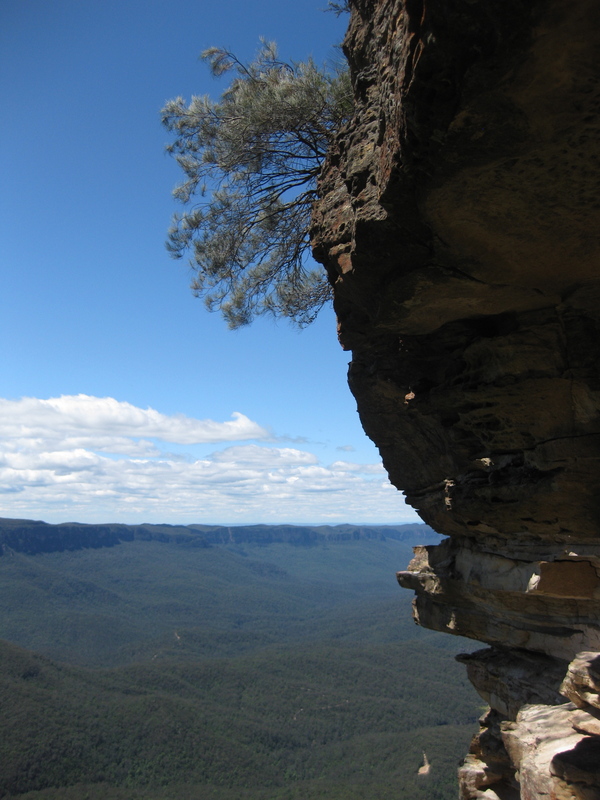 Beautiful Blue Mountains. I have been there a number of times and you have done it justice with your photos. the lunch looks pretty delish too!